Just thought I’d mention that I am just kicking off the return of the shorebirds with a free walk at Grace Salmon Park in Westport on Sunday July 12th at 10:30am. I will also be running a couple of free evening shorebirding sessions mid-week at Grace Salmon (complete walk details for July below). It’ll be a great opportunity to get to see some of these fascinating birds as the site is a great spot to see these birds as they are often in very close to shore and providing the close views that allow one to really get to grips with identifying this complex little group. It’s weird to think of fall migration being underway already, but with the short breeding season available to these birds and a long trip back home, many are already on their way. Shorebirds are of much fascination to birders due to their amazing migrations, in the US from Arctic Canada and Alaska to all points south as far as Chile and Argentina. In 2007 a Eurasian shorebird species (Bar-tailed Godwit) was shown to undertake the longest non-stop flight of any bird. 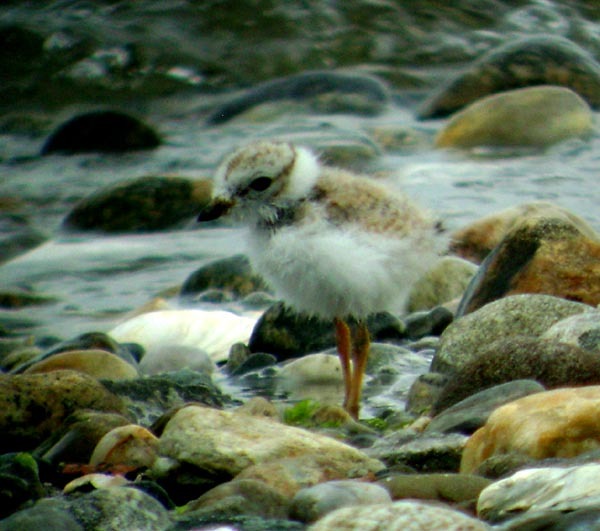 Using satellite tracking, birds in New Zealand were tagged and tracked to the Yellow Sea in China. The distance between these two locations is 9,575 kilometres (5,950 mi), but the actual track flown by the bird was 11,026 kilometres (6,851 mi). The flight took approximately nine days. At least three other Bar-tailed Godwits also appear to have reached the Yellow Sea after non-stop flights from New Zealand. These huge migrations make rarities a real possibility so it’s always fun to sift through the throngs. Some of you may remember the Red-necked stint which found itself in Milford a couple of years back after wandering off course from Siberia!!!!! I have included all the walk details below, the sign up form is on the Sunrise Birding website (here). Hope to see you all soon. Thanks so much for showing us your area in CT! King Eider was life bird for Jeff and I ..we had a great time! What was the name of the restaurant? i forget. will do a blog post later this evening. Again ..thanks it was great to meet u. I think others are planning outings in the future..u should too! The pleasure was all mine. Hope you have a great trip out West and hopefully see you both next year upon your return!